Kate McCellan from Purple Clover Events executed the day beautifully. From cues for us to the movement of the bridal party and organization of the photographer from Mike Staff Productions and other vendors, no element was left unattended. Parsonage Flowers created arrangements that went beyond just flowers with texture and foliage that suited this historic setting. The ceremony seemed well suited for this beautiful couple who communicated a endearing love, kindness and sense of humor with each other. We wish Shawn and Karin the very best and thank them for the honor of being a part of their special wedding day. 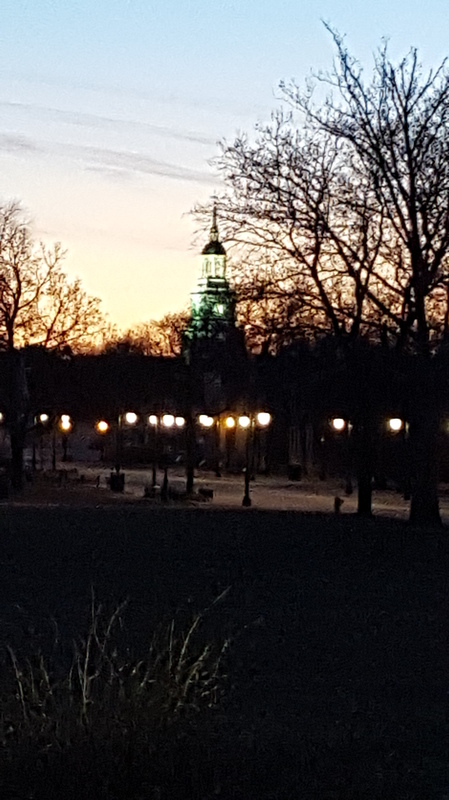 The view overlooking The Henry Ford from the front of Martha Mary Chapel at sunset was stunning. Though it was February, the day felt more like a day in April for Alexandra and William’s wedding day. 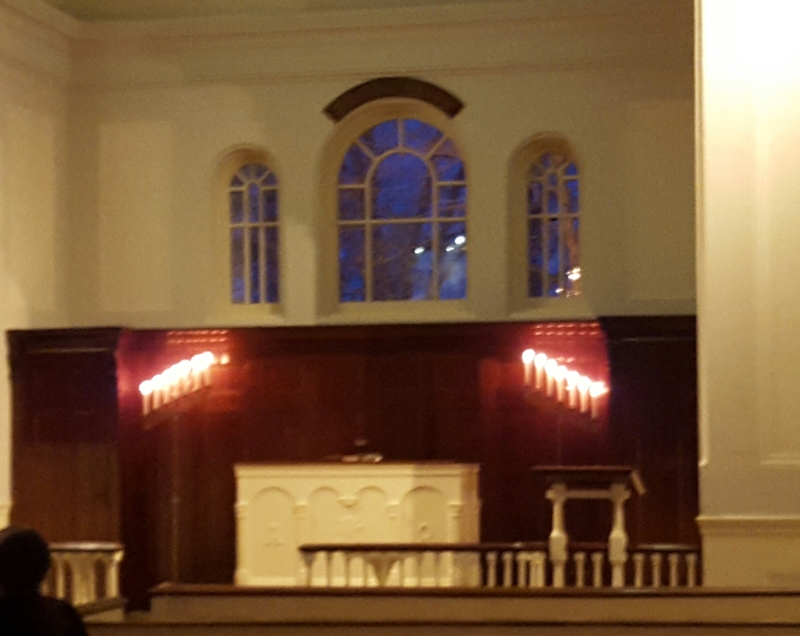 With an elegant pipe organ, towering ceiling, candle-lit chandelier and a doorway that opens onto the Village Green, Martha-Mary Chapel has the refined beauty of 19th-century New England church. As usual, the simplicity of the Chapel conveys an intimacy for weddings and helps to maintain the focus on the couple and the significance of the ceremony. In keeping with the historical theme, the couple elected to have traditional music for their ceremony. We played Handel’s Watermusic Air for the mother’s seating, Rigaudon by Campra for the bridal party and Kanon in D for Alexandra’s processional. 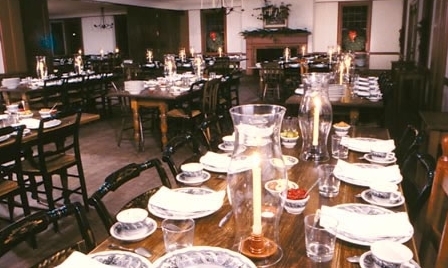 The reception was held in the Eagle Tavern, 19th-century Inn which offers an authentic historical experience featuring social customs, period menu and costumed staff. 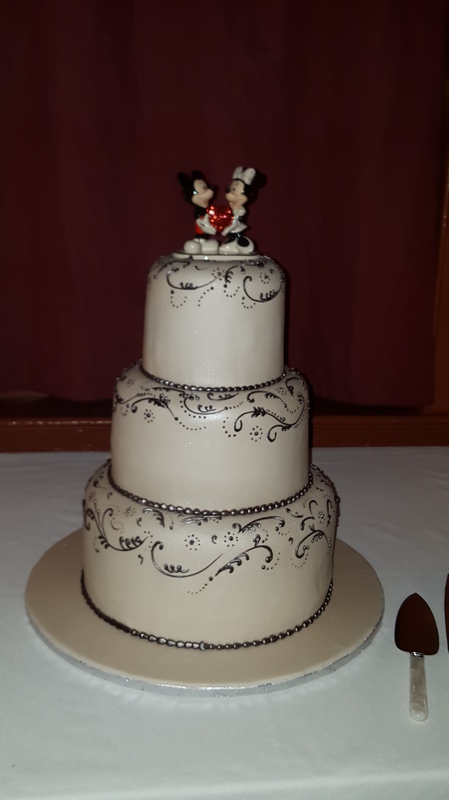 The couple is fond of Disney and used the theme for their wedding cake and the reception music. We performed every Disney medley we have in our 700+ repertoire and on several occasions had guests singing along. Our Celtic/Irish music was also very popular! 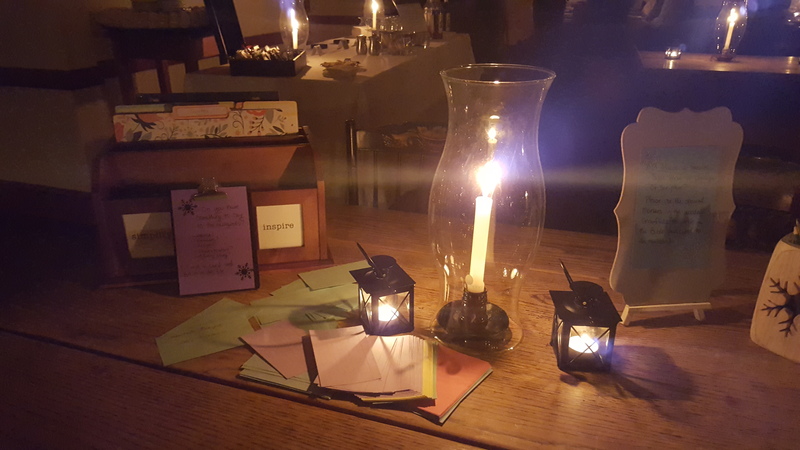 Throughout the evening, the guests were encouraged to write a word of marital advice on provided paper and to underline their favorite scripture in the couple’s bible. We’ve had the pleasure of playing weddings throughout the Henry Ford for many years and are always appreciative of the staff’s efficiency and helpfulness. This night was no exception. The staff is the final touch to an already extraordinary wedding venue. It was a pleasure to be a part of Alexandra and William’s wedding day. Best wishes! 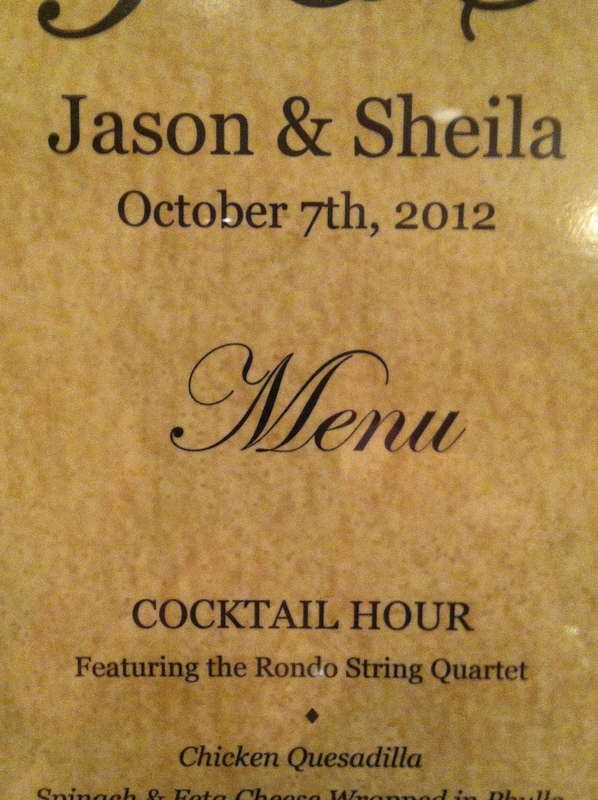 Congratulations to Sheila and Jason on their wedding this past weekend. The ceremony was held at the Mary-Martha Chapel at Greenfield Village and officiated by Reverend Graham of “A Joyful Celebration Weddings”. Rev. Graham spoke beautifully on the subject of love and incorporated several poems and quotes that were new to us yet very fitting for this couple. It turns out that his colleague, Rev. Sherry wrote the wedding specifically for Sheila and Jason by incorporating the couples life stories, conversations, lyrics from their selected songs, and quotes from people who are inspirational to them. She succeeded in creating a beautifully personal ceremony. Jason and Sheila have a love of movies and Sheila especially has a strong connection to Beauty and the Beast. So much so that she chose the music from the movie for her bridal processional. In fact, all the songs we played for the guest seating and during the ceremony were from movies. Several of the guests asked us about Glory Of Love from The Karate Kid Two and written by Chicago brass player, Peter Cetera. We also included “Somewhere Out There” from American Tail for the bridesmaids, Hallelujah from Shrek for the unity candle and “When You Wish Upon A Star” from Pinocchio during the marriage license signing. The couple recessed to “Pirates of the Caribbean”. Appropriate to the theme, Sheila had a true Cinderella wedding gown, complete with the tiara. Following the ceremony, the guests gathered at the Dearborn Inn for cocktails and dinner. We continued with our movie themed music and hoped that Jason would be around for his favorite, Mission Impossible. The guests were all having a good time and we were appreciative of all the kind comments. It’s always a supreme compliment when a guest will take time to come and comment on how much they enjoyed the music. Our job would be so much more challenging if not for the efficiency and competence of wedding coordinators. We send our thanks to Cheryl LaPalm of Greenfield Village and Christie Dixon of the Dearborn Inn for their help with set up and cues. A good coordinator is a wonderful asset to your event. We send Jason and Sheila our best wishes! Congratulations to Amanda and John on their wedding this past weekend at the Mary-Martha Chapel in Greenfield Village. The Chapel was built in 1929 by Henry Ford as a tribute to his mother, Mary Litogot Ford and his Mother-in-Law, Martha Bench Bryant. Amanda and John selected a wide variety of music for their ceremony. We played everything from Bach’s Brandenburg Concerto to “Don’t Stop Believing”. Amanda made a special request for her bridal processional. Thankfully, one of our quartet members has a gift for arranging and wrote the “Tour of the Kingdom from Little Mermaid” enabling us to play it for Amanda’s grand entrance. The couple created a ceremony that was personal and family oriented with the involvement of John’s father, Mr. Thomas Bowen, as the officiant for the service. The couple’s personality was also evident in their choice of a recessional. Also arranged by our quartet member, “The Throne Room from Star Wars” made a celebratory exit for the newly married couple. Congratulations and best wishes to John and Amanda. Congratulations to Lisa and T.J. on their wedding at Shrine of the Little Flower in Royal Oak. This historic church, dedicated to St. Therese of Lisieux who was known as “The Little Flower”, provided an elegant setting for the wedding ceremony. The bridal party wore lovely coral dresses and carried bouquets of coral and white roses interspersed with delicate purple iris. Monsignor Easton conducted communion while church vocalist Gracie, sang a beautiful rendition of “I Will Be Here” by Steven Curtis Chapman accompanied by our quartet. 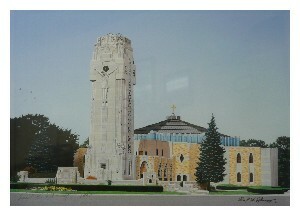 Constructed in 1929 with Massachusetts granite and Indiana limestone, a striking feature of the church is the 104-foot Charity Crucifixion Tower that overlooks the intersection of Twelve Mile Road and Woodward Avenue. 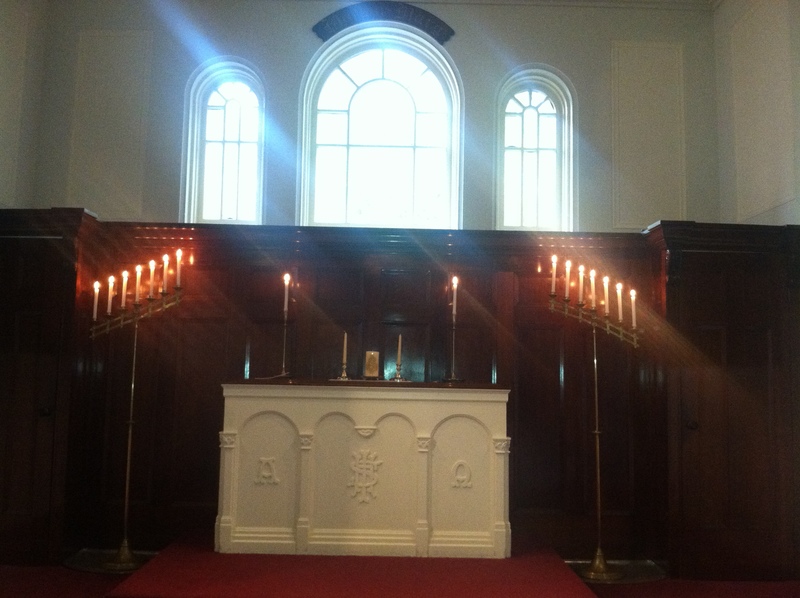 Additionally, the Alter is a solid block of Carrara marble, the most pure white marble in the world. It is the largest monolith in the United States and weighs eighteen tons. The couple’s appreciation for history was evident again in their choice of Lovett Hall at Greenfield Village in Dearborn for their reception. The cocktail hour was held in the Lovett Lobby; a chic 1930’s setting with marble flooring and fourteen foot ceilings. Our quartet performed many classical selections including Vivaldi’s Spring, Strauss’ Fledermaus Waltz and Brandenburg Concerto just to name a few. The elegant and glamour of the Lovett Ballroom was the site of the couples dinner and reception. The obvious appreciation for history and elegance created a memorable evening for the newly wedded couple and guests alike. Our best wishes to T.J. and Lisa as they begin their life together. Congratulations to Annette and Luis on their wedding at Greenfield Village. We had the pleasure of playing a wide variety of music for their reception at the Eagle Tavern. Set within historic Greenfield Village, inns like Eagle Tavern were favorite gathering places for those who lived in rural communities. People got together not only to eat and drink, but also to exchange news, transact business and discuss politics. News of the larger world arrived here when stagecoaches stopped to change horses and give their passengers a rest. This Tavern has a rich history and was lovely setting for Annette and Luis’s reception. The married couple had a delicious meal prepared by the Henry Ford Catering Department. These folks did an outstanding job working by the light of candles and in period costume. 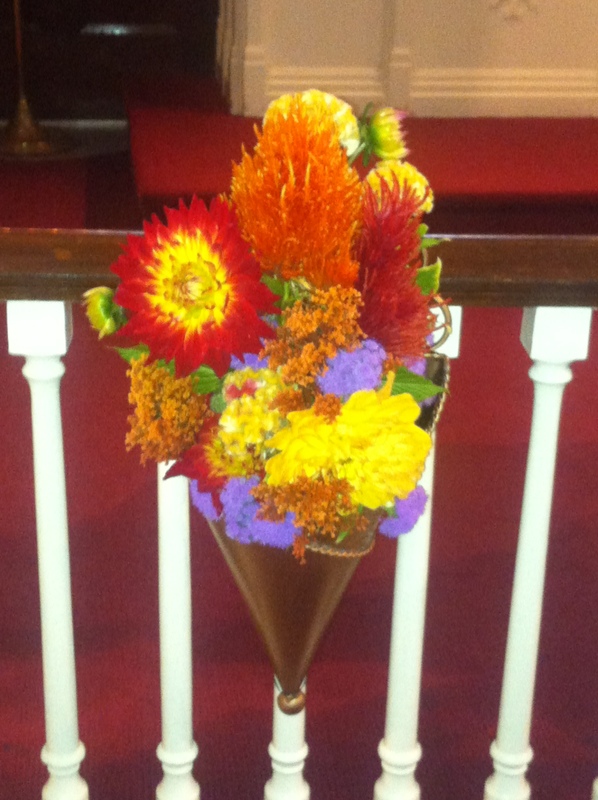 The photographer, Leisa Thomas, had many creative ideas that incorporated the flowers provided by Lama’s Florist. Annette and Luis shared a first dance to the nostalgic “It Had to Be You” while their guests, several in traditional Korean attire, looked on. It was a magical night for the newly wedded couple and we wish them the very best as they begin their life together.